The first wave of Aquaman critical reactions have washed ashore. Previously, a few scattered fan reactions were found on Twitter, but now a ton of critics have shared their thoughts on social media. So how did it go? There's hardly a bad review in the bunch, with some calling this even better than Wonder Woman, and a few others going even a step further. Fandango's Erik Davis had this to say. "#Aquaman is the most ambitious DC movie to date, a big, sprawling visual spectacle that is gorgeous, crazy, stuffed with terrific action, and a lot of fun to watch. James Wan, in my opinion, is the true star, he elevates the material, makes it entertaining and conquers it." Consistently, there is a ton of praise for director James Wan, who seems to have crafted a sprawling and satisfying entry in the DC movie universe. Originally, Wan was just going to be making Aquaman on his own terms. Not to say that change creatively, but when Justice League failed to meet expectations, it added a whole layer of pressure to the situation. Luckily, Wan persevered. As for what to compare it to? Sam Clements of Picture Houses had this to say. "#Aquaman is Avatar meets Jupiter Ascending, with hints of The Lord Of The Rings, Indiana Jones and a triple AAA video game. There's also an Octopus who plays the drums. I loved it." There have also been comparisons to Star Wars thrown around and even Indiana Jones. So the common theme seems to be epic. Though, in the case of Jupiter Ascending, epic doesn't always mean good. Still, these are lofty and pretty impressive comparisons. Bigger doesn't always mean better, but it sounds like James Wan and Warner Bros. managed to avoid that trap. To take things one step further in praising Aquaman, Tom Jorgensen of IGN (and he's not the only one) says this is the best DC movie since The Dark Knight. 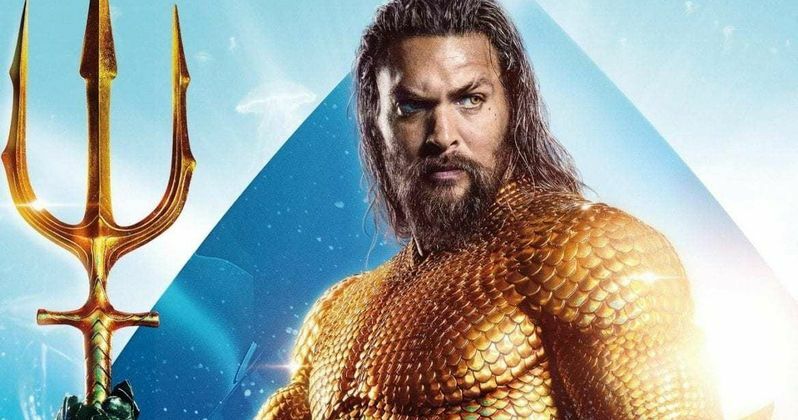 "#Aquaman is the best DC movie since The Dark Knight. @creepypuppet delivers a swashbuckling epic full of big emotion, gorgeous undersea visuals, exciting action, and lots of laughs. WB should be handing the DCEU reins to James Wan, he's proven he can, ahem, right the ship." That is a bold statement. Nevertheless, DC fans are surely happy to hear it. There is also a ton of praise circulating for the entire cast, with many specifically praising Jason Momoa as Arthur Curry. Yes, Justice League was a mess, but if this is the movie it's made up to be, coupled with Wonder Woman, it sounds like this universe is finally on the right track. Fingers crossed. Warner Bros. Is set to release Aquaman in theaters on December 21. Be sure to check out a ton of other social media reactions below.